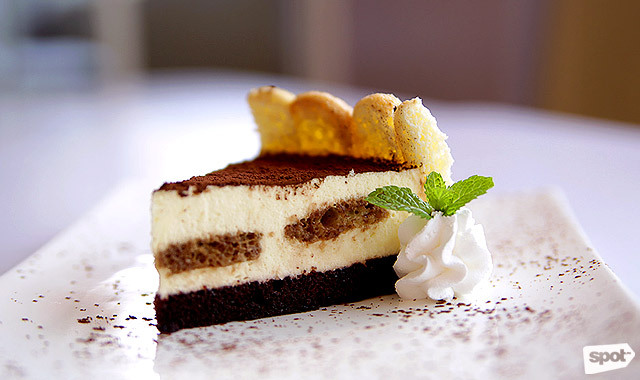 Homemade Italian fare and desserts are the highlight of this neighborhood stop. 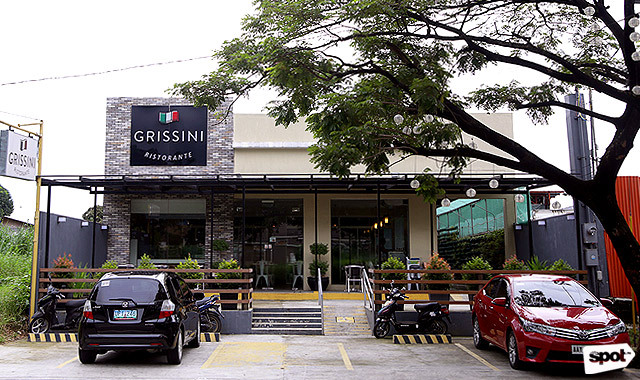 (SPOT.ph) After making a name for itself in Naga City, Camarines Sur and delighting both local and foreign visitors with Italian dishes for years (specifically, since 2009), Grissini Ristorante finally set out for Manila, opening its doors in Marikina City on July 31, 2015. 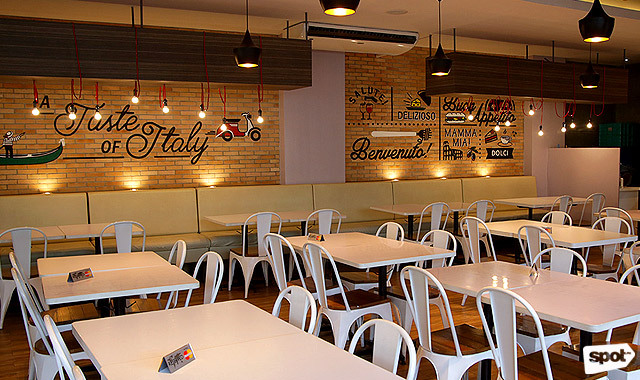 Any restaurant can serve pasta and pizza, but Grissini is making its mark on the city’s vibrant dining scene by offering all-Italian fare featuring fresh ingredients. Grissini is the creation of Chef Leandro “Doy” Sto. Domingo, who trained in European cuisine and worked at the Pan Pacific Hotel, The Tivoli at the Mandarin Hotel, and Pagliacci in Podium. He got an opportunity to consult for a French restaurant in Naga, eventually becoming the executive chef. 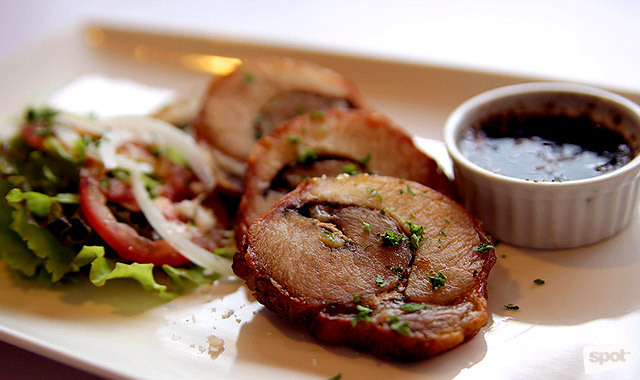 After a couple of years, he was finally able to establish his own restaurant, Chef Doy’s Gourmet Restaurant. He was soon offered a spot in Cereza Compound and asked to come up with another restaurant concept. 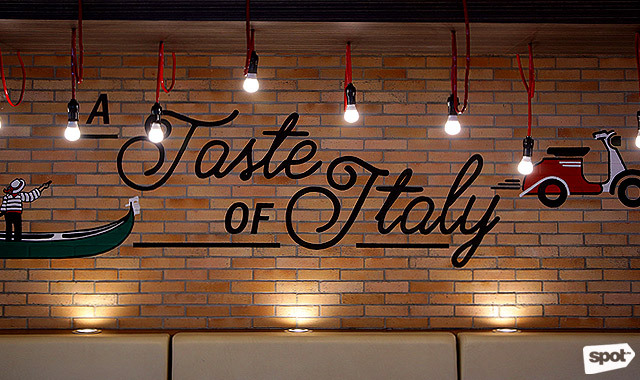 Given his background, Chef Doy decided to go with Italian cuisine and eventually partnered with the Lo family, who owned the compound. He is in charge of developing Grissini’s menu, while Chef Alessa Lo, one of the owners, handles the dessert side, constantly creating new cakes and pastries to add to the pasticceria inside the restaurant. While it can be generally challenging for restaurants located in different places to ensure the same taste and quality of their food across all branches, Grissini overcomes this problem by ensuring that ingredients are weighed and portioned, and through careful training of the kitchen staff; one of their managers was also sent to the Naga branch to observe the operations and learn how they do things. 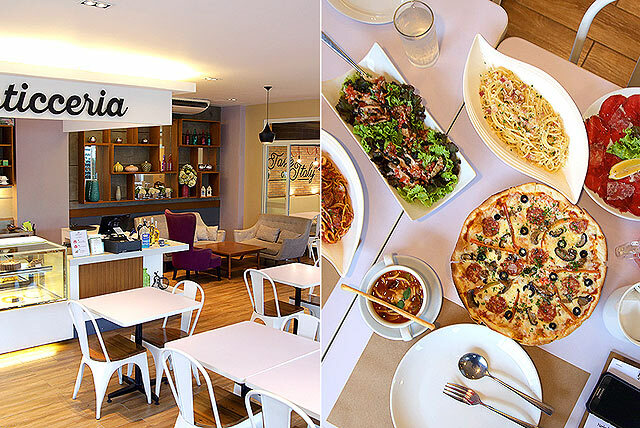 Chef Alessa says that the Naga branch has a far larger menu than the Marikina branch (it has a few years’ head start after all), but the latter already has pretty extensive offerings, ranging from appetizers to salads to pasta, main dishes, and dessert, all of which come in sizeable portions for sharing. 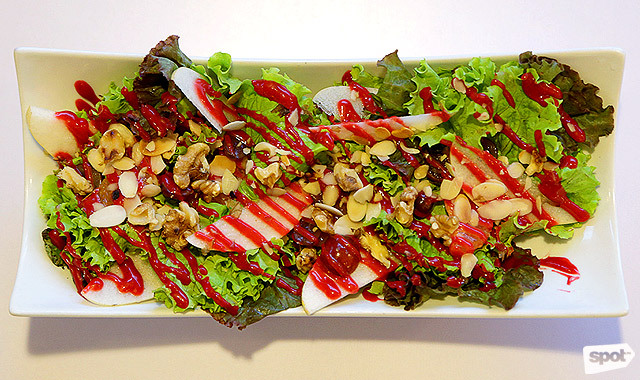 Start your meal with one of Grissini’s salads; the Insalata Dello Chef (P210) is a fruity, refreshing choice, drizzled with raspberry vinaigrette, or you could also go for the Insalata Di Pollo (P195), which includes grilled chicken and tomato salsa mixed with pesto, and could be good as a meal on its own. 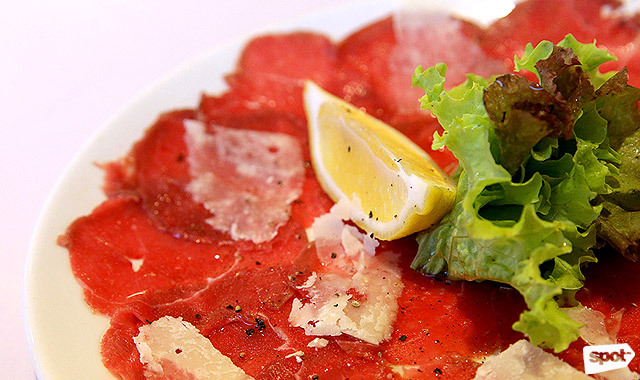 The Carpaccio di Manzo (P235), with thinly sliced beef and parmesan flakes coated with olive oil and lemon, is one of the most popular antipasti of Grissini. 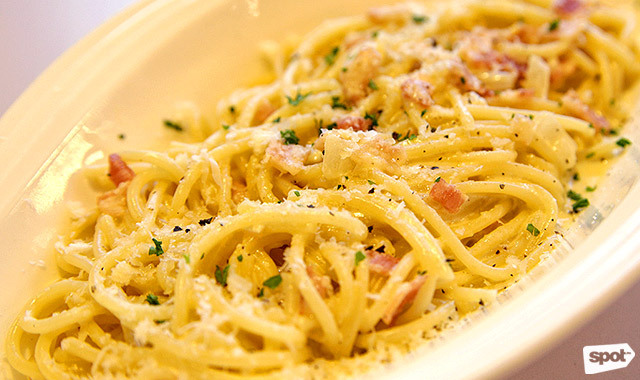 For the pasta, the Carbonara (P225) is a perennial favorite, especially among kids; it retains a delicate creaminess to be more attractive to the Filipino palate. 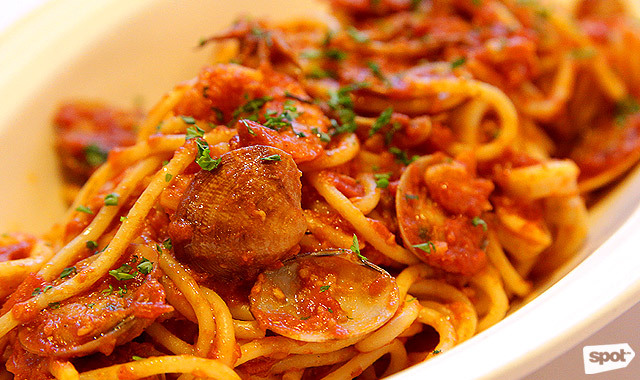 Older guests, meanwhile, tend to go for the Spaghetti Maremonte (P228), a seafood-laden creation with a bit of heat thanks to a sprinkling of chili flakes. It’s not an Italian restaurant without pizza, and Grissini makes theirs with a crisp crust and light on the toppings, but without skimping on flavor. 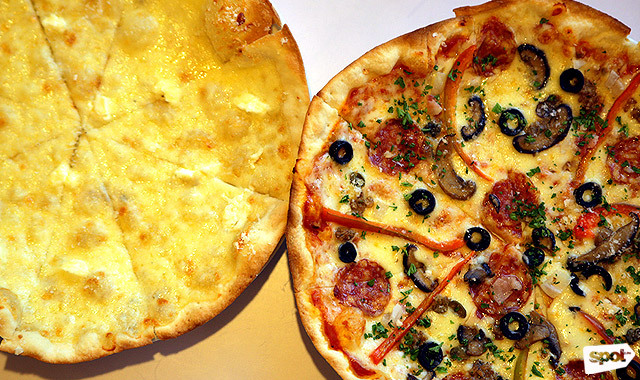 Popular pizzas include the Quattro Formaggi (P240 for 10”, P340 for 14”), which features a blend of Gorgonzola, mozzarella, parmesan, and cream cheese and makes the whole thing work without giving you cheese coma. The Capriciosa (P250 for 10”, P350 for 14”) comes with every topping imaginable, and the Patate e Pancetta (P240 for 10”, P340 for 14”), which is piled with homemade potato chips, bacon, onions, cream, and mozzarella, is the choice for those looking for something a little different with a (literal) crunch. 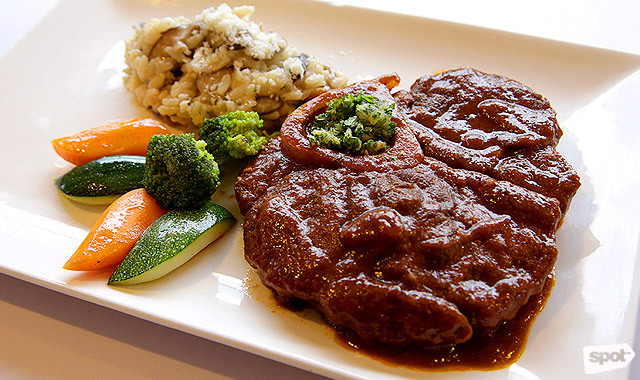 If you’re looking for non-pasta and pizza choices, you can always opt for the Ossobuco Milanese (P380), with beef shank braised for several hours to seal in the flavor, and risotto Milanese, or the Involtini di Pancetta (P240), with juicy pieces of rolled pork belly. 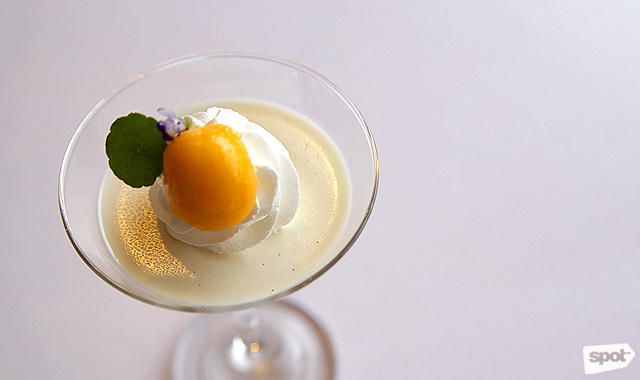 Aside from the main courses, Grissini is also very much a dessert lover’s dream come true. 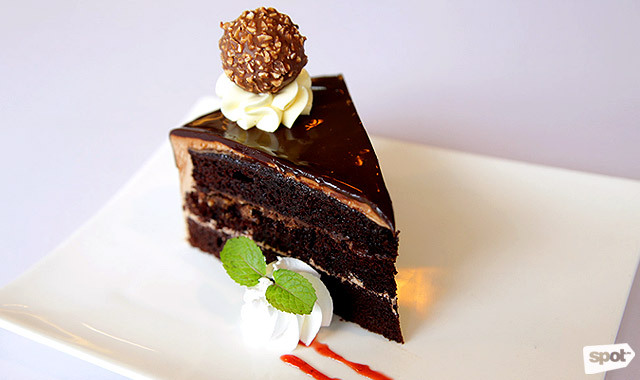 Chef Alessa observed that people are big on chocolate, so she made sure to offer different types of chocolate cakes (look out for the Ferrero cake, which might be hitting the dessert menu soon). 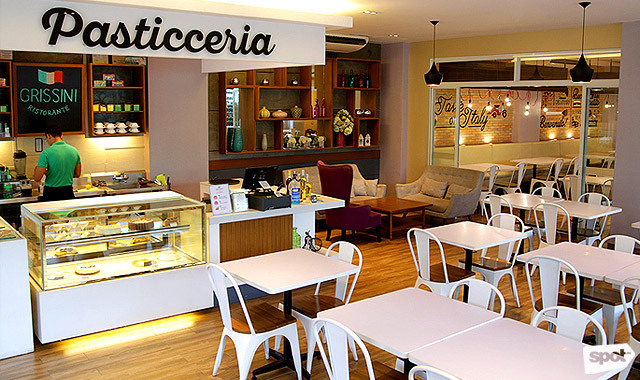 Of course, tiramisu (P180) is among the selection of cakes, or you can also have the panna cotta (P65). Overall, Grissini Ristorante makes familiar Italian dishes more special with its dedication to freshness and consistency, and by staying true to the roots of the cuisine. 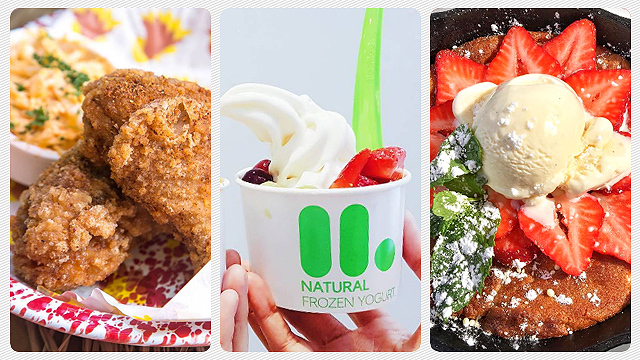 Why is this froyo all over Instagram?